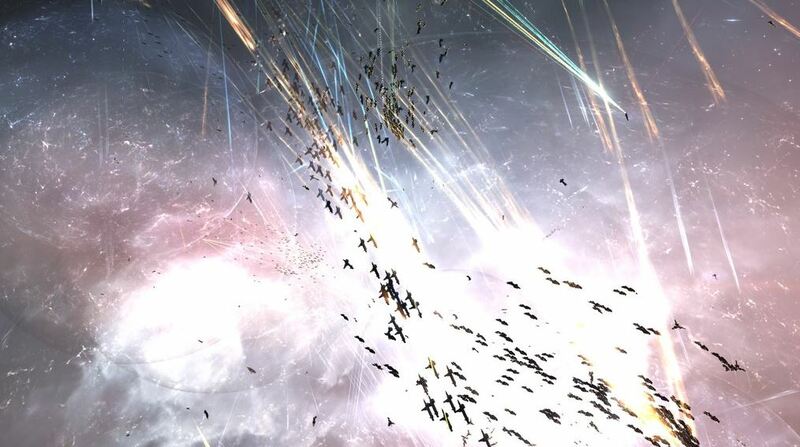 Recent months have seen an escalation of aggression towards The Imperium from different pockets of Eve Online. What started as a disagreement between SMA and I Want ISK has snowballed into something with wide-reaching consequences for the entirety of New Eden. The long-held theory is that any coalition that remains King of the Hill for a substantial length of time is eventually brought to its knees. Typically this is down to internal atrophy as most famously evidenced by the collapse of the original Northern Coalition, despite amassing insurmountable riches and numbers. There can be no doubt that The Imperium had a far more robust internal organisation than the old NC ever had, but with 40k+ members, it was inevitable that entities would ally in an attempt to take down an entity that was perceived, correctly or otherwise, to have become bloated. 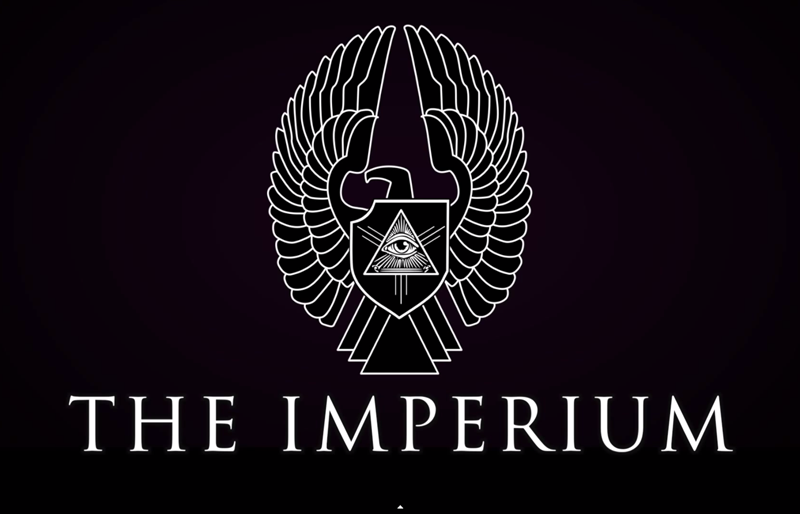 The Imperium has had a what could be generously described as ‘awkward’ moments in recent times from a disastrous Kickstarter campaign, accusations leveled at the wider Eve Online community~, dogpiling into lowsec space and the aforementioned disagreements with I Want ISK. TISHU were hired by IWI to harass SMA, and after their great success it was clear blood was in the water. Attempting to take down a long standing coalition of over 40k members was always going to require some serious bluing-up. Smaller coalitions had already been formed to skirmish with The Imperium and these appeared to be working together with more purpose towards a general goal of destroying the GSF-lead body. 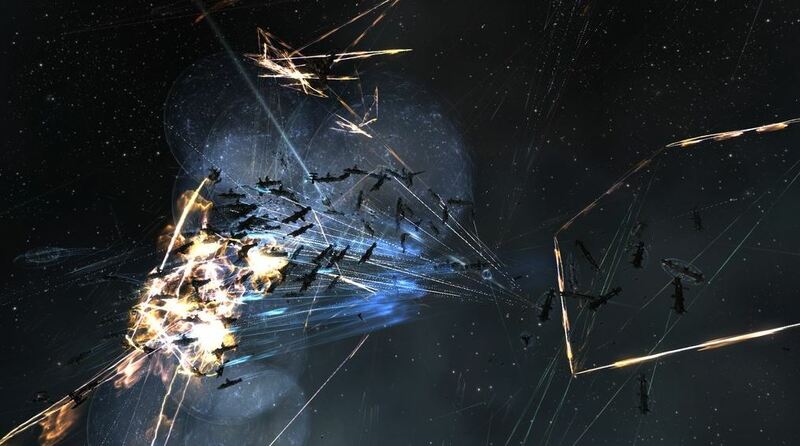 Whilst far from being a formal coalition of alliances, it’s clear that The Imperium has not endeared itself to the wider Eve Online community, and this turned into a genuine opportunity for said community to strike back in a tangible manner. This has been seen as an opportunity for entities as disparate as Pandemic Legion, TEST, Mercenary Coalition, TISHU, Snuffed Out and Northern Coalition to name but a few, to work together in however tenuous an arrangement (an organisation some – read r/Eve – are calling the Money Badger Coalition) to work towards a what they perceive to be a greater good – the destruction of The Imperium. The shock news from less than 48 hours ago came when The Imperium announced a formal withdrawal from Vale of the Silent. This was a region they have held for a number of years now, but was considered more difficult to defend under the recent changes to game mechanics in both Phoebe and Aegis. The residents of Vale – LAWN and my old alliance BASTION – were to withdraw with immediate effect to safer NPC space. This alone was perceived to be a massive step down for The Imperium. Whilst it was clear that Vale was much more difficult to defend than it had been previously, the ease at which it was conceded was shocking. That said, concentrating forces into more easily defendable space is a common tactic we have seen previously. This was clearly a victory for the allied forces to be sure, but far from decisive. 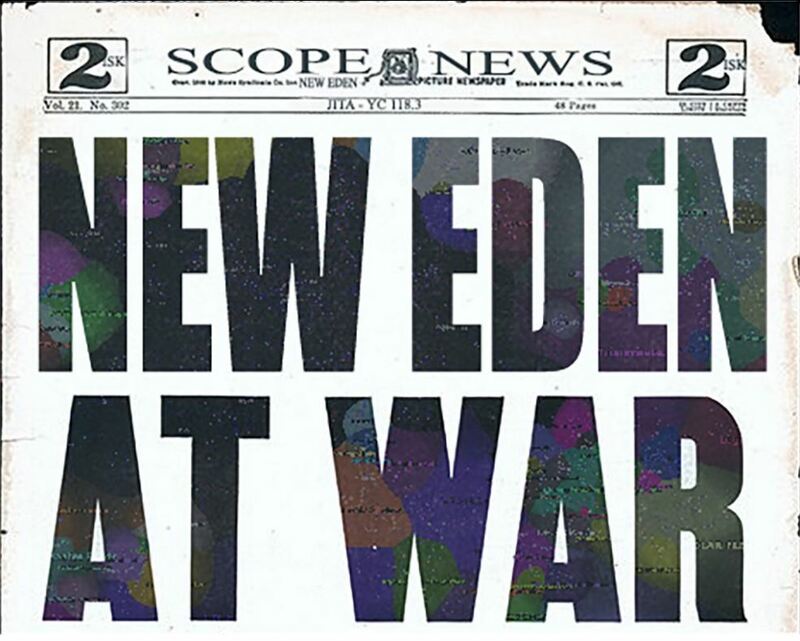 Nontheless, the signs were clear that New Eden was heading for another Great War. If there was any doubt that we were staring down the barrel of another cluster-wide conflict however, the evening of March 28th 2016 has removed it. With an Circle of Two iHub timer in M-OEE8 coming out at 1900 Eve, red pens were called all round and the single largest engagement in New Eden since B-R was set to occur. 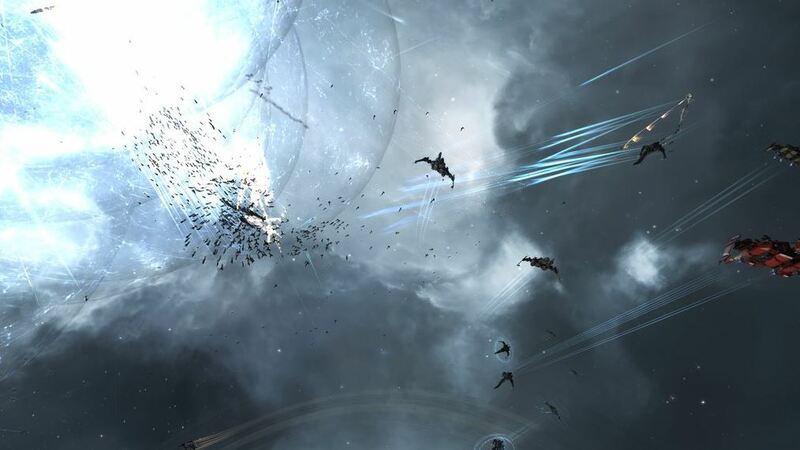 Over 3,400 pilots made their way into the adjacent system of J-GAMP in the 1P-VL2 constellation in Tribute with smaller skirmishes in surrounding systems. As the battle on the gate slowed down and the Imperium forces that could fled the field, the rest being put out of their misery, Pandemic Legion Rattlesnakes and others returned to the contested iHub of M-OEE8. Chasing off a force of Machariels harassing PL Chimeras capturing the structure, MBC forces secured the timer. From the onset of battle, until the iHub was taken, three hours had passed. The butcher’s bill for the main battle and skirmishes in surrounding systems landing at 468 billion ISK, of which Imperium losses accounted for well over 300b, according to initial reports. For years now we (CO2) have been loyal towards the CFC (Imperium). We, as an alliance, have for a large part never been seen as a full member by GSF. As a result we’ve never been treated nor represented as such. The basis of the coalition – it being a meritocracy – became an affront over time. In the same timespan the list of grievances grew. I will not go into detail as the people involved know full well whom and what I’m talking about. They can mostly be summed up as GSF taking care of their interests and at the same time blatantly disregarding the coalition policies they claim to uphold. It appears that after spending the entire day with us fighting on their behalf to defend their home, C02 has chosen to reset the entire coalition in approximately the next 30 minutes. That’s a pretty impressive backstab, and it’s apparently all our fault. This is a shame, but there’s no question of right or wrong on this one: we’ve expended a tremendous amount of blood and treasure defending C02 assets in Hakonen and Tribute over the past two months, and this is the spit in our eye after an all-day defense of their homeland. Undoubtedly there is a degree of damage control here as is completely understandable given the circumstances. CO2 cite mismanagement from the wider Imperium, and in particular Corp Diplomatique, for their lingering dissatisfaction with life in the coalition. On the other hand, it would appear that Imperium leadership were aware of a growing schism between CO2 and the rest of the coalition. At the time of writing this, we do not know what the long-term plans for CO2 are but an educated guess would suggest them fighting their former alliance mates on the side of the MBC. On reading #tweetfleet Slack, MBC forces are clearly playing this singular fight over an irrelevant timer to be of a far greater significance than it is in and of itself. 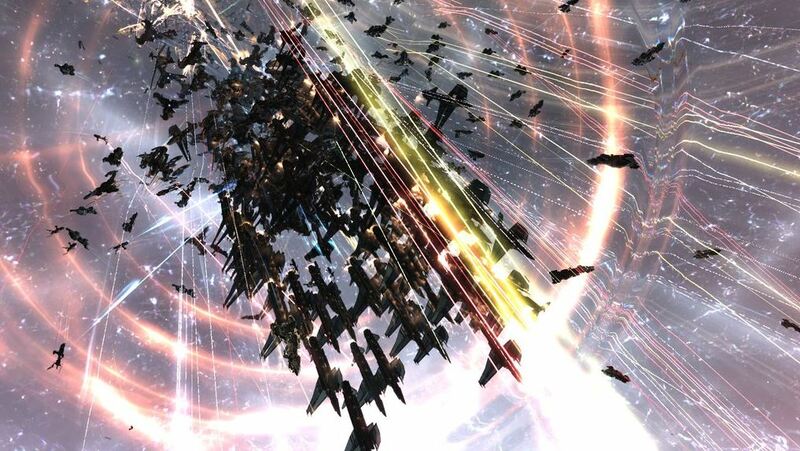 But for the moment, The Imperium are ceding both regions and manpower, and many opposing alliances in Eve right now smell blood in the water. Eve historians and Goon supporters will remind us that they’ve been here before. The losses and betrayals of the past 48 hours may galvanize The Imperium into a singular military force that can dispatch the roughly aligned forces of their enemies. Initial success could lead towards the Money Badger Coalition making a tragically overconfident move that leads to their downfall. The formidable and storied diplomatic and spy capabilities may be brought to divide the many strong personalities that, for now, are acting together. The erstwhile allies may fall apart arguing over expectations of pay from their monied masters. One thing is clear though: we’re in for a hell of a story.